O-102 R6? below, and O-102a R3+ at bottom. 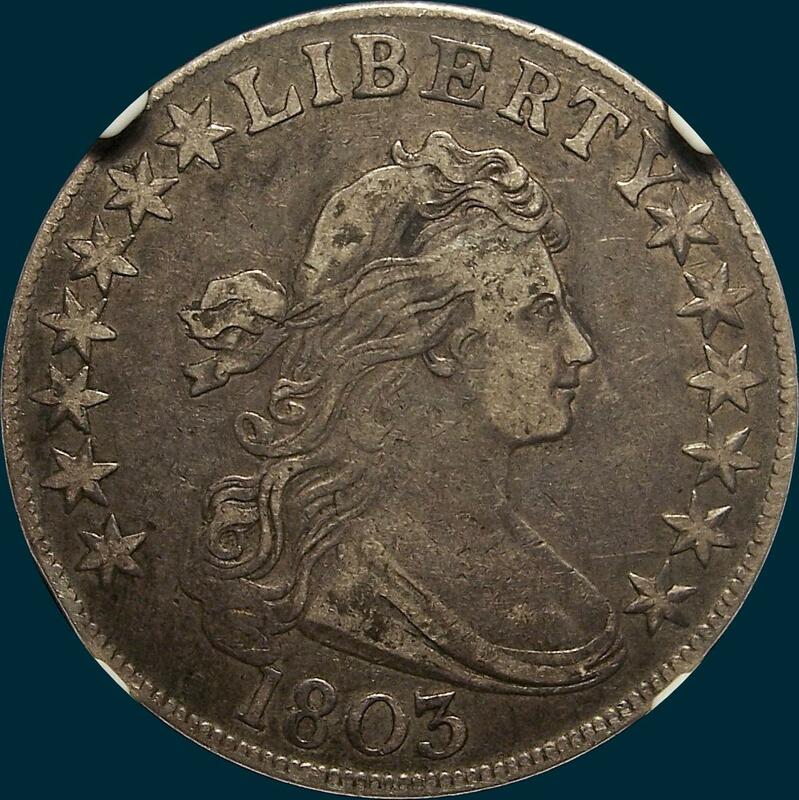 There have not been any mint state appearances for this die marriage, and very few AU's. The prime die state is very rare, with the reverse on most examples showing clashing and a die crack. Reverse-O-102: 5 Berries, the upper one below branch is partly hidden by leaf below. Point of leaf very close to extreme right base of I. 13 arrows. Star and beak clearly separated. Die line at base of D.
O-102a: Irregular crack from rim that joins TAT at top and another though ERICA. 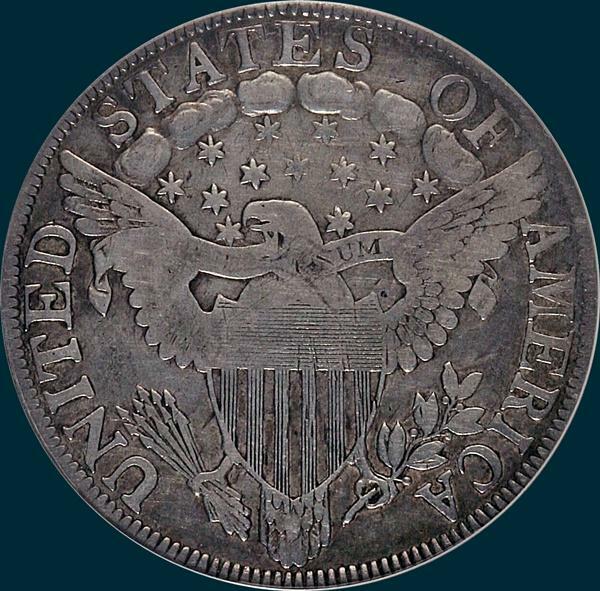 Some specimens (See Above) show letters of LIBERTY and other devices clashed on reverse especially under tail feather area. 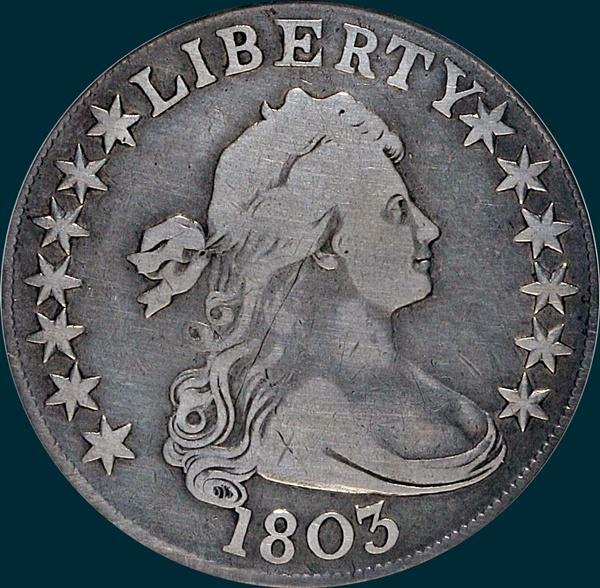 NGC Graded VF35. Totally Original with a whole lot of crud on it hiding some details on the reverse. 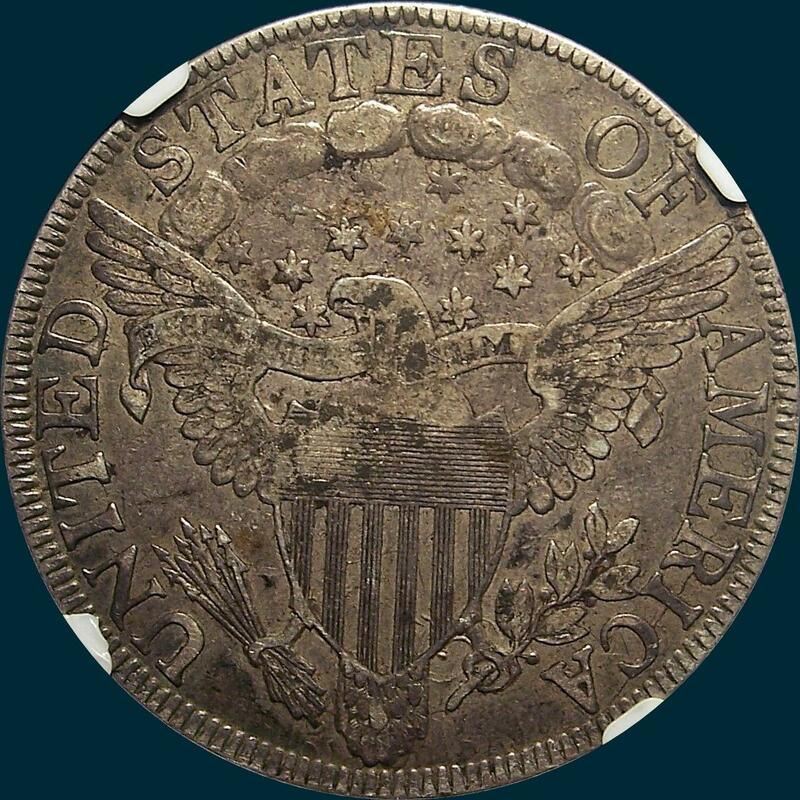 Same crud caked on the obverse as well. Silver dust? Some luster remains in the devices. This is the toughest 1803 to get, and one of the best survivors out there as this one has not been abused. 01/10 Stu Keen FPL VF20 Old Clean, Scratch Rev.